CONGRATULATIONS to Matthew MacDonald, Steven MacLeod, Robert Campbell, and Leonard McIsaac on their championship win! Second place in the championship division was Travis Coffin, Sheila Coffin, Glen Coffin and Tracy Blaisdell. 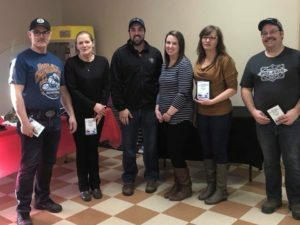 First division winners were Garry Campbell, Janice Gamble, Darren Hatfield and Tammy MacDonald. Second Division winners were Tammy Dewar, Larry Dewar, Gail Greene and David greene. Third Division winners were Myles Rose, Gaylene Nicholson, Alice Rice and Brian Harding. The Most Courteous Curler 2018 Award went to Peter Drake. 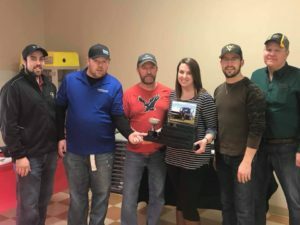 A HUGE thank you goes out to all of our participants, everyone who volunteered with us, everyone who came out to the entertainment, Blair Dewar, Muddy Buddy, ALL of our sponsors and prize donors, and all of the staff at the Montague Curling Club who made the weekend such a success!